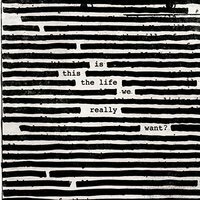 The word from the Sony Music-owned www.roger-waters.com is that a previously unreleased edit of the Wall will be released on DVD in anamorphic format. Check out the page for further info. There is also mention of the tour rumours, but nothing definitive from Sony, his label. Just confirmation that the Wall DVD is on its way. So you can now stop emailing me and asking ;). Thanks to [m1] for the heads-up on this one. I've seen a few questions on the #pinkfloyd Wall about the new Roger Waters song Lost Boys Calling, so here it is. Enjoy. For those of you who prefer not to use a GUI or just enjoy good old browsers, the Fandom is now pretty much 100% viewable in Lynx and older frameless browsers. Rejoice. Okay. This is absolutely the last time I'm going to do this. If you heard about a concert, then you have been misinformed. No concerts are planned. I repeat, NO CONCERTS. This includes anything you have heard about New Year's Eve. NOTHING. Despite several statements to the contrary and notes asking people not to email, I continue to get email. So please, don't email me asking, because this is the only answer I'll give you. You may now resume your regularly scheduled browsing. Despite what rumours you have heard there is no tour or album currently planned, according to Dave Gilmour. He recently told BBC not to expect anything from the band before 2001... which, I might add, DOESN'T guarantee something in/after 2001. Just to clear things up. In other words, DON'T email asking. Here's your answer :). Still no new developments on the Floydian front. I have recieved a few fan reviews, unfortunately I haven't had time to put them up. I'm working on it as we speak. Note that while I don't have a problem with the "song-by-song", one-paragraph-per-point format that the reviews have taken, submitters are free to choose their own format. What fun would it be without each individual's creativity coming into play? Keep the reviews coming. I'm still working on the lyrics archive as well, but I'm without a scanner for the time being so larger scans of the album covers for the lyrics pages aren't forthcoming yet. I'm already halfway done with The Final Cut, I just need to take a moment to finish typing it up. I chose this album because a) it has great lyrics (duh) and b) it provides a good contrast to The Division Bell, the first album up in the lyrics section. It's looking like I might have time to work on this a bit more often so there should be some improvements in content soon. Many changes have occured recently. I've moved halfway across the country and I have a new job. On the Floydian front, no new news. There have been no concerts announced. Stop asking me about the concert rumours. The last I heard there were 3 separate rumours about New Year's concerts in Egypt at the Pyramids, in Las Vegas, and at Earl's Court. Even Floyd isn't so great that they can be in 3 places at once, so obviously something is wrong here. Nick Mason appeared on "Late Night with David Letterman" to talk about a new book, and was asked if Floyd is working on anything. His reply was that they were "together but not working very hard". In other words, the rumour you heard about a new album, or a new tour, or about Roger Waters rejoining the band is untrue. On another note, I haven't recieved any new reviews for the Reviews section. Keep them coming, please. I'm trying to find the time to write some of my own but I also want fresh perspectives on the band. It keeps things more interesting. Again, if anything surfaces about an album or a tour or a reunion or any other Floyd-related happenings, you all will be the first to know. Wow...this is suddenly monthly. Not intended. Hopefully I can start working on this more soon. At any rate, the first fan-submitted review is up in the Reviews section. Check it out.